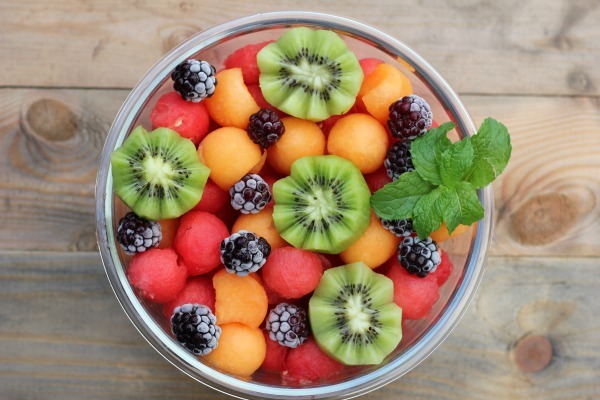 this pretty bowl of summer fruit salad for a snack than a bag of chips or crackers! the place! They go from freezer to the oven with no problem at all! sweet. I have been buying a watermelon from Costco every week! I love summer!! 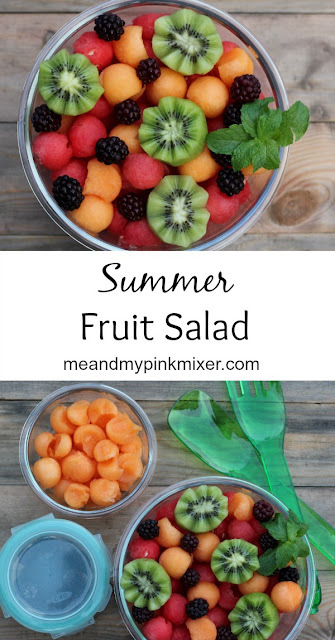 I serve my summer fruit salad with these handy 2-in-1 salad servers. 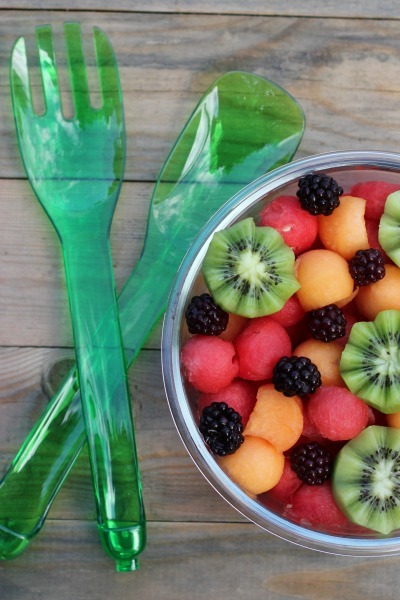 The OXO 2-in-1 Salad Servers snap together to make tongs or separate for tossing. They are durable and stain resistant too! 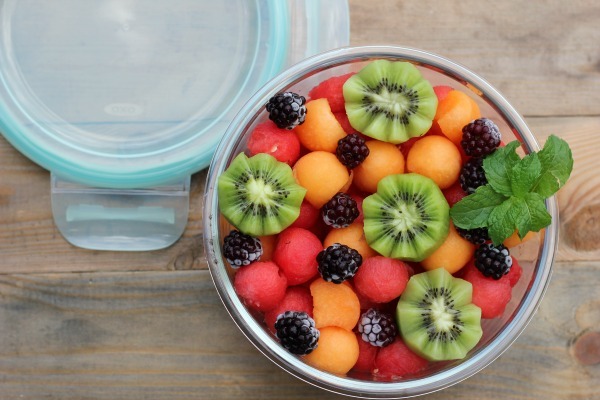 Perfect for tossing vegetables or fruit. 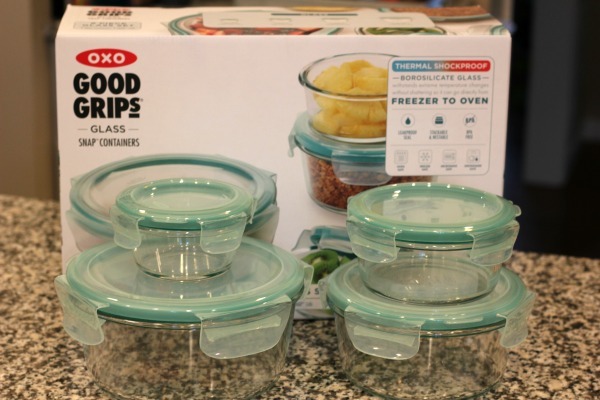 The OXO 1-cup and 2-cup snap containers are convenient for the kids to grab and go. 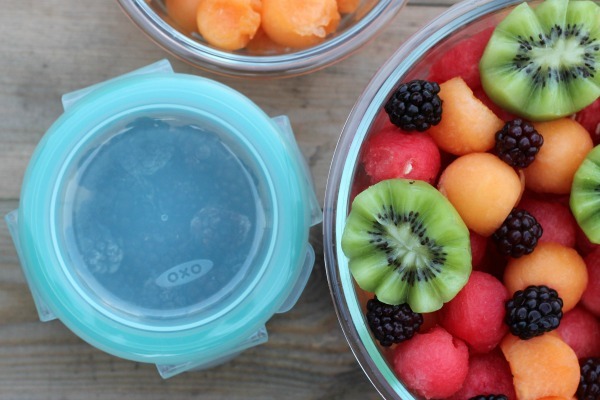 I keep them filled with baby carrots, sliced cucumbers, berries and homemade trail mix. 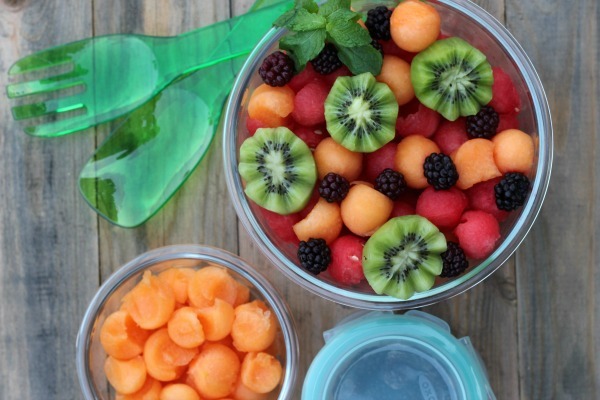 Using a melon baller, scoop watermelon and cantaloupe into balls. 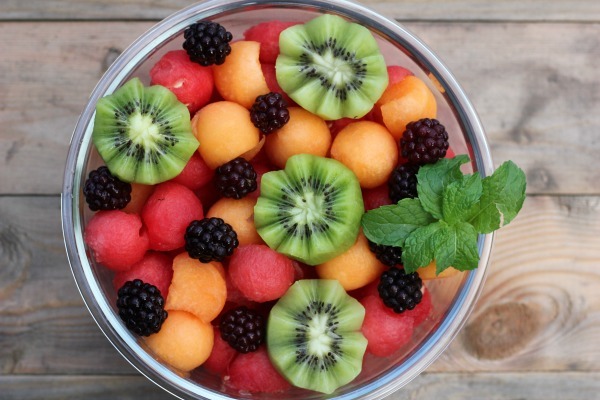 Add sliced kiwi, fresh berries and mint. This post is sponsored by OXO. As always, all opinions are 100% my own.